The dragonfly totem carries the wisdom of transformation and adaptability in life. As a spirit animal, the dragonfly is connected to the symbolism of change and light. Dragonflies start to grow in water and then move into the air and fly. When this spirit animal shows up in your life you may be called to transform and evolve. Symbol of metamorphosis and transformation, it inspires those who have it as a totem to bring about the changes needed in their lives in order to go to reach their full potential. When this spirit animal shows up in your life, it’s an indication that it’s time for a change. The dragonfly is characterized by amazing flight patterns as it appears to be able to change direction swiftly, gliding through the air with no apparent effort. Its lightness inspires those who have the dragonfly as a totem to use their ability to be flexible and highly adaptable in any situation. By affinity with the dragonfly aerial lightness, those who have this animal as a totem can develop the ability to take things lightly even in the darkest moments. Lightness in feelings, lightness in thoughts. The dragonfly spirit animal invites people to keep a light, positive outlook no matter what. The dragonfly is often seen around water, ponds or on the edge of a river or lake. It symbolizes the affinity with the realm of feelings, water being a powerful symbol for emotions and the unconscious. The dragonfly is a fascinating animal characterized by the beauty of its colors, the lightness of its wings and its scintillating body. The meaning of this power animal is associated with the symbolism of light, but also an illusion. Those who have the dragonfly as a spirit animal may be encouraged to show their true colors more often and shine. Even if they may be more discreet than let’s say the peacock, they often exert a fascinating influence and arouse curiosity in others. Dragonflies are powerful allies to connect with the spirit of nature. Their fairy-like quality makes them auspicious spirit animals to work with the power of light and fairy realms. Animal of wonder, the dragonfly can bring forth the enchanting spirit of our own nature. When you see this spirit animal, allow yourself to open up to the magic of nature and the elements. Japan made the dragonfly its national emblem. It is a symbol of joy and rebirth. In some Native American traditions, it is also a symbol of the departed souls. For the Mayan, the dragonfly is the emblematic animal of the goddess of creativity, Ix Chel. What does it mean when one lands on you and stays awhile? I enjoyed reading this. 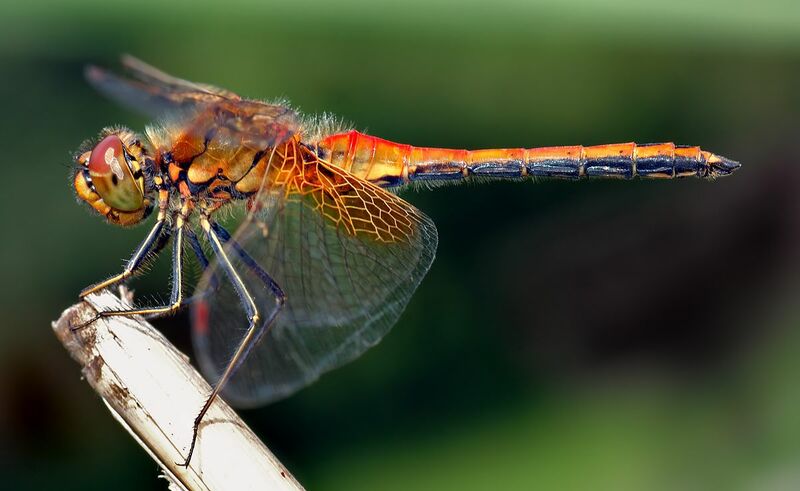 all last summer I had a dragon fly that live out side my back door, and when ever it saw me it would get excited and follow me, all info in this article is very helpful, can’t wait to see if my dragon fly friend returns in the spring!